Why suffer your way through tedious queues and crabby airport personnel when you can have an entire private jet at your beck and call? Two minutes to midnight, the phone rings. You have to attend a conference in Kochi at nine tomorrow morning, says a crusty voice that you recognise as the company CEO's, making you throw the covers aside in panic. And, with good reason too. The next five hours are spent in utter desperation, and your secretary drowsily grumbles under her breath as you instruct her to book the earliest flight out of town. As it turns out, the first three are fully booked, and an economy seat in the fourth costs a little more than a bomb. At 6 am, you find yourself in a serpentine queue, waiting for the CISF personnel to push you towards the boarding gate. But even when seated in the plane, you know the journey is far from over. You touch down at the port city around eight thirty, bleary and bedraggled, only to face the realisation that the city is located thirty kilometres from the airport. Oh, well. Time to rent a car. It takes two hours of weaving through the traffic before you finally reach the venue, but it's eleven now, and the conference hall door is shut tight. The receptionist asks if she can help you with anything, and - with bloodshot eyes and frazzled hair - you reply in the positive. A tall glass of whisky, and a dark corner where you can curl up and die. Maybe it's time you gave private flying a thought. Ask Rajeev Wadhwa, CEO & chairman of Baron Luxury & Lifestyles, and he will tell you that the biggest advantage of private flying is the headstart you get on the clock. Speaking on the Baron Eagle Membership, which offers premium air transportation to those living in the fast lane, he says, "Once enrolled, you can have an aircraft ready for transport almost instantly. Also, unlike the case with commercial flights, you don't have to arrive hours in advance to go through security - a few minutes prior to departure should do. Flat tyre en route to the airport? Make the plane wait for you!" While the idea of private flying is yet to completely catch the imagination of the Indian elite, an increasing number of people - especially those constantly on the move - are starting to realise the advantages of having a private aircraft at your beck and call. 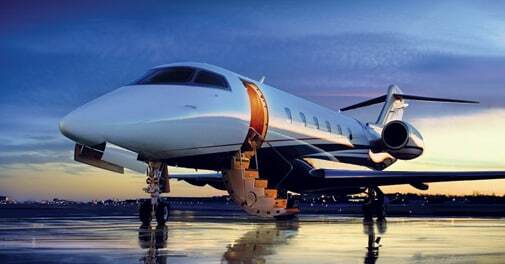 Consequently, the country has seen the mushrooming of quite a few air charter companies, including Air Limousines, Tata's TajAir, Air Charters India and VistaJet. 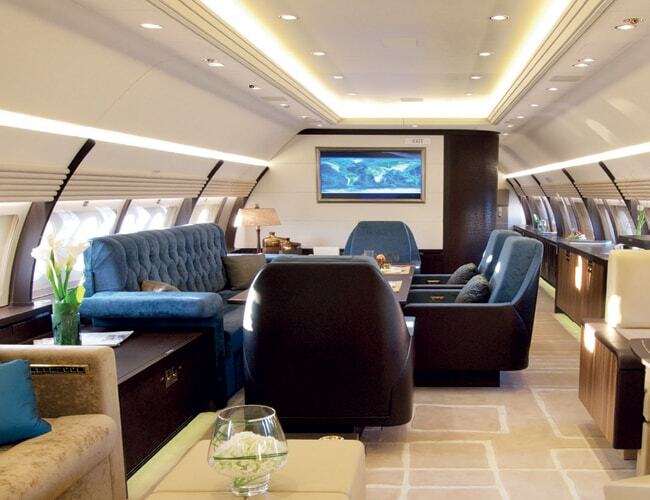 Convenience is yet another aspect that draws the discerning businessman to the private jet. "These days, due to space constraints and other reasons, airports catering to commercial flights seem to be moving away from cities. But as there are more than 150 airports catering to private aircraft in India (compared to 70 for commercial ones), private fliers can actually land closer to their destination - thereby reducing ground transportation time," says Wadhwa. A case in point is Bangalore, where private aircraft users can touch down at the HAL airport - located in the hub of the city and probably a twenty-minute drive from anyplace important - as opposed to the distant Bengaluru International Airport. Nevertheless, Sheena De Boisgelin, country head (India), VistaJet Holdings, bemoans the comparative lack of supporting infrastructure for business aviation in the country. "There are just about 450 airstrips in India, of which only a fraction are fully operational. Also, the very concept of fixed base operators (private aviation terminals) is emerging in the country only now." Still, private flying has more than its set of advantages to compensate. For instance, every traveller has come across a situation where the commercial airline he's travelling in either pronounced his luggage too heavy to transport under normal circumstances, or mistakenly sent it across to another destination. The private jet flier, however, is beyond such concerns; there is no restriction on what he brings into the aircraft cabin, whether it's equipment, sports gear or product samples, making it ideal for everybody from celebrities to musicians travelling across the globe. And what's more, as the luggage stays with him, there's no question of absent-minded ground staffers sending it to the wrong destination. Increased productivity is yet another advantage that air charter companies offer to their customers. While the very fact that members can arrive mere minutes prior to the flight's departure translates into better time management, the hours spent flying can be used to discuss business matters in utmost privacy. "Our aircraft, which are equipped with WiFi, Satcom, fax and conference facilities, provide clients with a proper work environment onboard," says Wadhwa. "For people who consider time as valuable as money, a lot by way of business deals can be accomplished in the aircraft itself." Besides, a journey through the clouds in a private jet is an experience in customised luxury - with ample space, luxurious furnishings and individualised attention. When it comes to air charter companies, one size certainly does not fit all. The customer gets to choose from an array of aircraft, ranging from helicopters and single-engine planes to mid-size carriers and luxury executive jets, each customised for just the kind of travel experience he may seek. Want to reach London in nine hours flat to clinch the biggest deal in the history of your firm? Pick a luxury jet that will speed you through the skies, non-stop. 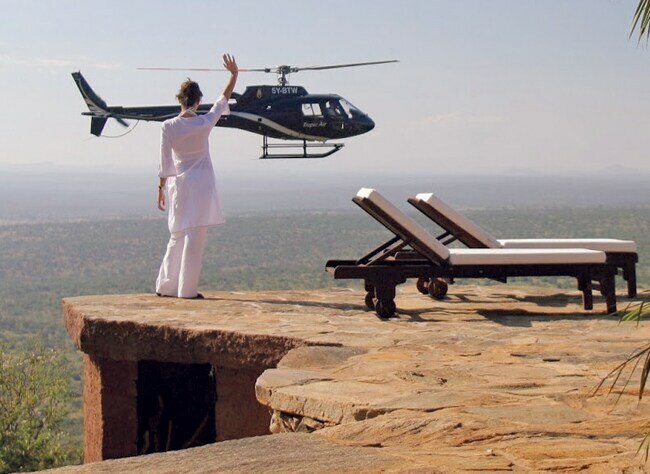 Planning a jungle safari by air with family and friends? Pick a chopper to zero in on those elusive rhino herds; you could even land in a clearing to take a closer look. "There are a few things that should be kept in mind while picking a private jet,"says De Boisgelin, "First, the cabin size - because that will depend on the number of people travelling; second, safety and comfort levels; third, speed and flying range - depending on whether it's a long-haul or short-haul flight; and most importantly, the facilities aboard the aircraft." Flights can be chartered at the 11th hour, but it's recommended that you book early to secure the best aircraft available, at a good bargain. Select the plane size needed, in accordance with the number of people in your party. While small to medium-sized planes hold anywhere from one to 16 passengers, some air charter companies offer planes that carry up to 150 passengers. As far as possible, try to book a round-trip to ensure full value for money. If you choose one-way, you may be charged for an 'empty leg' flight - which basically means a trip with no passengers or cargo. Identify the airport closest to your destination, and then check with the air charter company if it uses the one you want. As much as the air charter company may swear on its staff's expertise, it may help to check the aircraft's safety records and its pilot's experience. This way, you won't suffer panic attacks half-way through the flight. If you wish to cancel your flight, do so at least 48 hours before your scheduled departure to ensure that you do not suffer financially.